Principal Cast : Robert DeNiro, Al Pacino, John Leguizamo, Donnie Wahlberg, Curtis “50 Cent” Jackson, Carla Gugino, Brian Dennehy. Synopsis: Two veteran New York City detectives work on a case of serial executions of criminals who escaped justice. What we think : The actual idea isn’t that bad, two veteran cops conflicted about a career that is drawing to an end and the extent to which they interpret the often grey area between justice and criminal police misconduct while pursuing a mastermind serial killer. There is actually a moment or two here and there that reminds us of the prowess of these talented actors but all semblance of a meaningful story is lost in a clumsy plot that is too familiar from vastly inferior productions. As part of our Worst Film Week celebrations, I asked friend of fernbyfilms.com, and fellow movie blogger, Rory Dean at Above The Line, to jot down some thoughts on a film he considered to be his personal choice for worst film, either ever or only recently. Rory stepped up and delivered a fine assessment, which you can all read below. I’d like to thank Rory for his input into this event, and for those of you keen to read more of his stuff (and I can recommend it most highly!) then please click on the link in the sidebar on the right, or on one of the banners at the bottom of this review, where I’ve linked to some of his other articles at his own site. Supporting movie folks such as Rory (as well as some of our other contributors) makes us all feel great about what we do, so the more comments and visits to other blog sites you can make, the better for us all!! – Rodney T, Editor In Chief – Fernby Films. The worst movie I could think of in recent memory is the formulaic 2008 Jon Avnet police procedural Righteous Kill. I’ve spent quite a bit of time thinking about this. O.K. 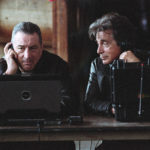 so maybe it isn’t really the worst movie of all time, as that is a discouraging ball and chain to affix to any movie with Al Pacino and Robert De Niro in it, but it clearly surmounts a staggering amount of really bad movies by pairing two veteran screen icons together in such a ramshackle way. How the story got past anyone, including the stars is the subject of an entirely different, perhaps even longer diatribe on the woes of the Hollywood content mill but for the sake of this article let us press on. Hey Bob, remember that scene in Heat where we met up and verbally sparred? That doesn’t happen here. I read that somewhere between 50 and 75,000 films have been produced since the 1930’s and of those I can only guess as to which one film rightfully deserve the title of worst of the worst. I might just as easily and perhaps with less stomach upset choose Kevin Costner’s theme park thrill ride gone horribly awry film Waterworld (which cost $175 million but oddly enough actually made $275 million worldwide) or his equally but less profitable epic apocalypse film The Postman. I’m sure no one would disagree with the choice of Ben Affleck’s doomed romantic comedy Gigli or Kevin Smith’s confused religious romp, Dogma. I might be applauded for choosing Matteo Garrone’s somber 2008 film Gamorrah or Harmony Korine’s troubled 1997 film Gummo. The case in point, wistfully making this selection is undoubtedly more difficult than it would appear but Righteous Kill offends all sensibility and thus wears the brand of worst movie all too well. Don’t pick on any of the smaller kids, okay? 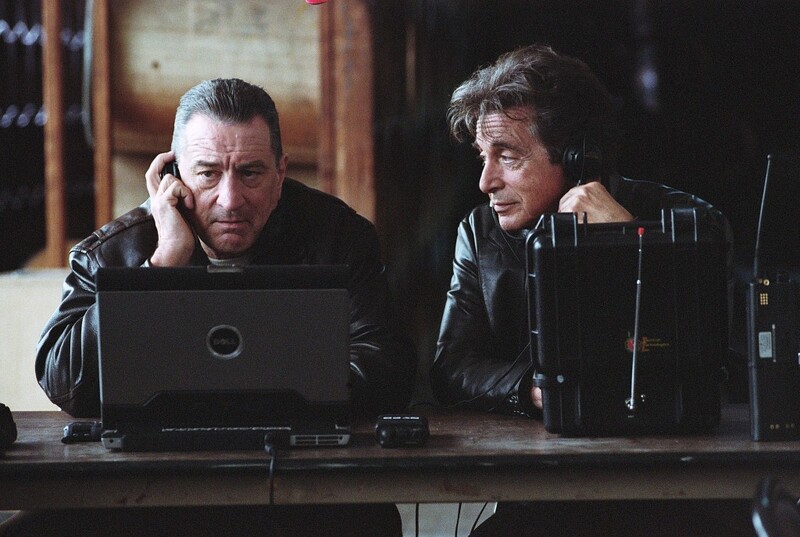 Righteous Kill was written by Russell Gewirtz who scribed the successful bank heist thriller Inside Man, the 2006 Spike Lee joint with Denzel Washington, Clive Owen, Jodie Foster and a handful of other notables. Gewirtz is also credited with two episodes of the single season, 2005 series Blind Justice but not many people are talking about that. I discovered through the course of research of this movie that there were fifteen producers attached to the project, including Jon Avnet. Fifteen producers? I imagine this film came together as an assemblage of ideas gathered from one of those big, oval executive tables akin to Hollywood production meetings where everyone pontificates and rarely agrees on a single strategy. Someone tossed in what amounts to a solid idea, pairing two veteran actors with an obvious, palpable chemistry, and someone added “let’s put them in the ever popular and bankable genre of the buddy cop movie.” The thing that keeps popping into my head is the old adage that says too many chefs spoil the broth and in this case, the resulting soup was bland, drab and little more than lukewarm. Are you telling me it’s Don Corleone under this thing? That’s just f**ked up man! I, for one, have had my fill of zombie movies and blood bath horror traps but I can’t help but wonder what it would be like to put these two actors together in the proverbial room of such a disparate genre movie. Can you imagine it? Equal parts character, survival scenarios and action, this movie would build toward an inevitable collision with some undead or voodoo clan. Fuelled by a ticking clock device of survive-the-night or live forever, a walking, mute and motley kewpie doll, our heroes would make a last stand for the sake of all humanity. Of course one of them, the heroic and tragic knight character with a fair share of chinks in his armour, would sacrifice himself so that his friend might go on to rebuild the human race with the only woman left, a staggeringly beautiful and mute younger woman played by the next twenty-something starlet. I’m just spit-balling here but this must have been remotely similar to the hodge-podge of ideas floating around that production meeting and sadly what left the room intact was the idea that yet another tired, cliché ridden cop movie was going to somehow stand above all the other failed efforts with lesser talent. Hey, I’m only doing this until Rodriguez does another Spy Kids film. I chose Righteous Kill primarily because of lost potential. The actual idea isn’t that bad, two veteran cops conflicted about a career that is drawing to an end and the extent to which they interpret the often grey area between justice and criminal police misconduct while pursuing a mastermind serial killer. There is actually a moment or two here and there that reminds us of the prowess of these talented actors but all semblance of a meaningful story is lost in a clumsy plot that is too familiar from vastly inferior productions. One can’t help but draw small comparisons to the one scene the actors share in Michael Mann’s Heat, the unspoken nuance of character, the kinetic energy between the good guy and the bad guy is perhaps the corner stone of the entire film. Here, sadly the air of electricity is vacant and the dialogue falls flat the second it is uttered. Opposing editing choices, flashbacks and quick cutaway shots jar with unappealing zeal as though once in the editing room the producers could not agree on how to manufacture interest and thrills from lacklustre plot points. Where Righteous Kill finally comes undone is in the final moments of the film that fall like confetti without emotional closure. It is said that the worst thing an author or screenwriter can do is to kill off their character when they are uncertain as to what to do with them at the end of the story. Here, the unremarkable is telegraphed and there is little resonance that a connection had ever been established or concern nurtured for these forgettable characters. Someone wrote that if it hadn’t been for the stars this movie would have gone straight to DVD and in all honesty, they were right. © 2010 – 2014, Rory Dean. All rights reserved.